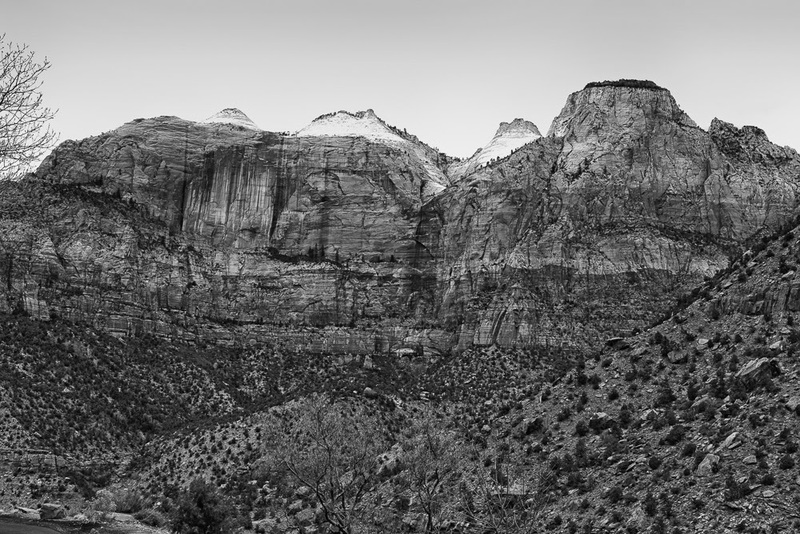 Long day today, left the hotel in Zion at sunrise and shot on the way out of the park. Had to deal with construction road closures on the way out of Utah. Lost 1 1/2 hours. Had planned to go to the Grand Canyon but a detour due to another road closure sent me so far away, then dust storms and crappy skies, I finally bailed on the GC. Drove 570 miles, needless to say you will have to wait another day to see the rest of Zion. Some of today's images will be processed as HDR (high dynamic range). This technique involves taking several images of the same scene and combining them with others that are under and over exposed. Here is one image from Thursday at Zion. I prefer the B&W version? IPhone has great cameras. But in any case, it needs to be improved. If you cannot change it in a gadget then you need to find an appropriate tool like on the webpage to fix the problem.